You should buy a place of your own, or should you? If you’re reading this, you've most likely already weighed the benefits and decided that home ownership is the best decision for you. So now what? Most home searches today begin on the Internet. With just a few clicks you can search through hundreds of of listings, view virtual tours, and sort through dozens of photographs and aerial shots of neighborhoods and homes. Make sure you give some consideration to the TYPE OF HOME you want and the NEIGHBORHOOD you prefer. Ready to start your search? How Long Will The Search Take? In the current market, there are a lot of Los Angeles homes for sale so you have more to choose from. 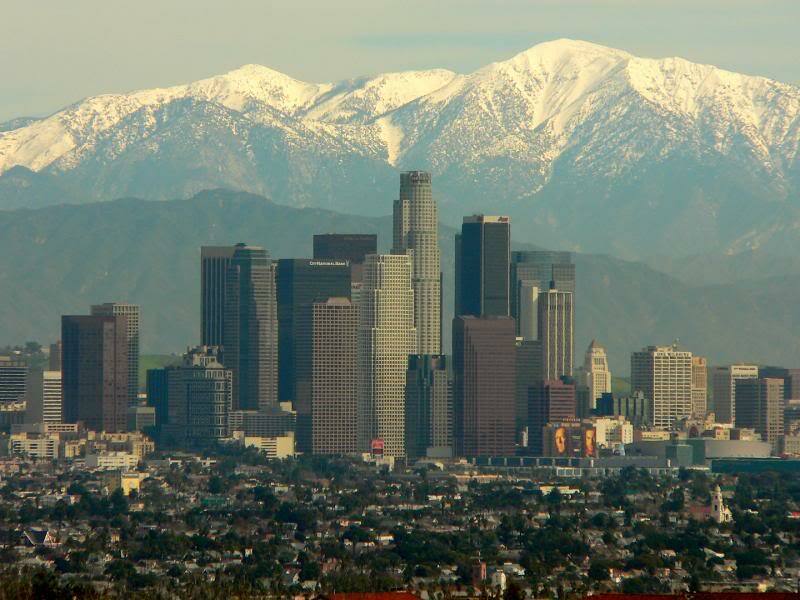 A truly motivated buyer can find the perfect Los Angeles property within a few weeks. Make sure you work with an agent who is familiar with the areas you are interested in. A good real estate agent can shorten your search time dramatically by listening to your wants and needs and keeping an eye on new inventory as it hits the market. There’s no need to drive around looking for open house signs. As your Los Angeles real estate agent, I can tell you about Los Angeles properties for sale that fit your parameters make arrangements to show you properties at times that are convenient for you. Do remember that the “best” Los Angeles properties do tend to sell quickly in ANY market so if something seems particularly interesting to you, don’t wait too long to check it out or the opportunity may be lost! Work with a Los Angeles REALTOR® - Don’t cheat yourself! If you are planning to see a number of Los Angeles properties, you should bring a notebook and a camera with you. You’d be surprised at how easily things run together after you've seen a few places. Take a picture of the front of the house and make sure the address number is legible. Take note of surrounding Los Angeles homes for sale. Are they well maintained and similar in size. Is there anything remarkable about the street and its location? Once inside, write down the important attributes and any unusual elements, either good or bad. You can snap shots of the various rooms and even sketch a quick floor plan to job your memory later. Immediately after leaving, rate each Los Angeles home for sale on a scale of 1 to 10, with 10 being the highest. After looking at Los Angeles homes for sale for a few days, you should have a good idea of which one or two homes you could see yourself living in. Ask your Realtor to show you these Los Angeles properties again so you can make your final decision. One thing to remember- it’s quite possible that the first place you see is THE RIGHT home for you. Don’t discount that feeling if it hits you. On the other hand, if after several days of looking you are no closer to finding the right house than when you started, don’t get discouraged. If you have special requirements, it may be difficult to find the home you’re looking for as quickly as you’d like. Another note: Many people move 2-5 years after they purchase a Los Angeles home. If this is your first home, it doesn't need to be your “dream house”. Start small and move up later. The same goes for school districts. If you have no children yet or your children are a several years from beginning school, don’t let your entire housing purchase hinge on the school district where the property is located. Chances are by the time your child is ready for 1st grade you’ll have moved into another home. You've made your decision on a Los Angeles property and you’re ready to make an offer. This is when your agent goes into high gear. A good Realtor will check comparable properties to the one you’you've chosen to determine what similar places have sold for recently. They will also talk to the listing agent (the agent who represent the seller) to find out more about the sellers' motivation and to find out if there are existing offers and any particular desires the seller would like to see in an offer. Your agent will work with you to write the best offer possible for your circumstances and negotiate with the seller’s agent on your behalf. She will explain all of the paperwork and every step along the way from acceptance through the close of escrow. Questions About Buying a Home? Call Jenny Durling 213-215-4758 or fill out the form below.